Hey all! 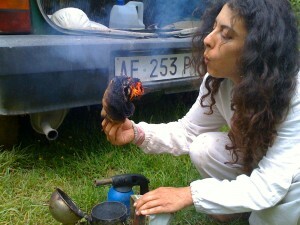 We have been off grid for a while on a WWOOF farm. Lots of posts to come! I was able to spend some time with the bee keeper Arianna, who takes care of the bees at Fattoria Barbialla Nuova in Montaione, Toscana. It was AMAZING and super SCARY all in the same. Here is my account of our time together. She spoke a little English and I understand a little Italian so here it goes. Some things got lost in translation I am sure. Hopefully the pictures will help! 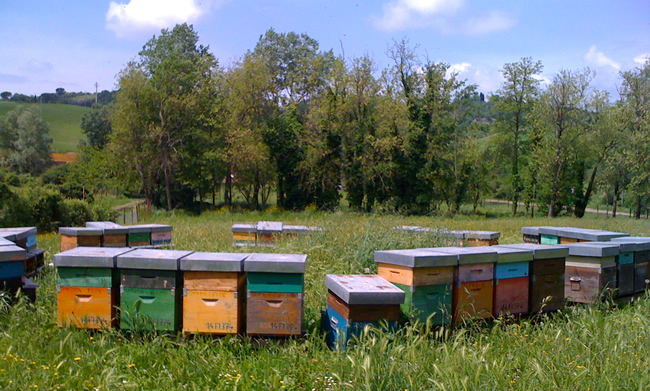 Arianna and Allian take care of the bees here at Barbialla (totaling about 100 bee boxes) as well as on a variety of other farms and locations throughout Tuscany. I was told they are known in this area for being really good at what they do. 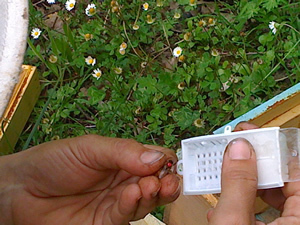 They use biodynamic principles to care for the bees. Biodynamic principle follow the biodynamic calendar which is a method of organic farming that emphasizes the holistic development and interrelationships of the soil, plants and animals as a self-sustaining system. 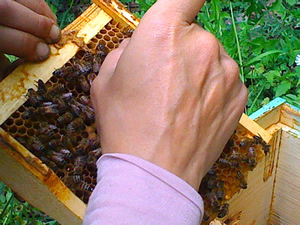 Today when I went with her, she was removing the young queens and placing them into new families. There are several boxes that are just for queens to be born. We got ourselves dressed in protective clothing and headed over to box 21. 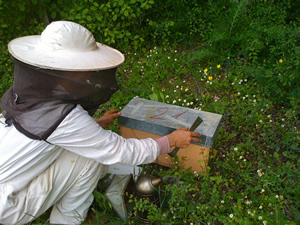 First she blows a little smoke into the box to calm the bees and make them eat more. This allows them to go inside the honey comb and be distracted. In this one box there are 3 sections. In each section she has placed the queen larva 2 weeks ago, and now she is checking to see if the queens are growing and ready to make a new family. She takes out each tray to find the queen. The queen is larger than all the other worker bees and very recognizable. Once the bees have there heads in the comb then she grabs them by the wings. It is pretty nuts. Then she grabs the queen and places her into the small white tray with 9 other male bees. This is the start to a new family that will then grow to hundreds of bees and will have there own large box. The red paint is to mark the queen. Arrianna is a brave lady! Gathering the 9 worker bees! Arianna gently grabbing the queen with her bare hands! There were so many bees swarming around us while she was working. She let me try to pick up some worker bees to place in the white container, but I kept dropping them! My heart was pounding and I was a little nervous to say the least. honey comb- can you find the queen? On the wooden trays there is the comb and the dark brown filled in holes is the bee pollen. I was stung twice while we were out. I am sure this is a common occurrence when you deal with bees. The funny thing is a bee just landed on my leg and stung me. Then of course I jumped up and got stung again on my hand. 🙂 At that moment the bees were so loud swarming around me. I just had to use some self control and calm myself down. I didn’t want to distract her from doing her work. Kind of crazy! And an experience I will never forget. A little bit about the sweet stuff! 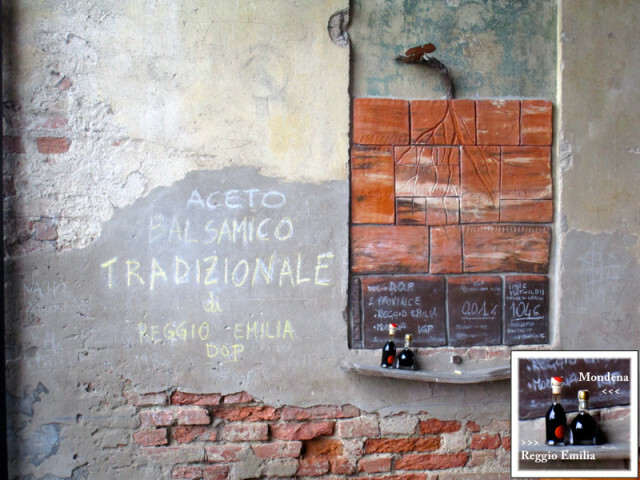 Here in Tuscany there are many different kinds of honey that have their own distinct color, flavor and texture: Acacia, Millefiori, Sulla, Castagno (Chestnut) Tiglio, and many more. Each kind of honey is from a certain season or time when the specific blooming flower is the nectar in which the bees eat. The bee keepers harvest the honey at the end of those seasons so then there are many varieties of honey. So far we have tried the Acacia, which is light and sweet, and Millefiori (Many flowers) which is a very thick honey that comes from a time when many different flowers are blooming. Hence the name “many flowers”. Both were delicious! 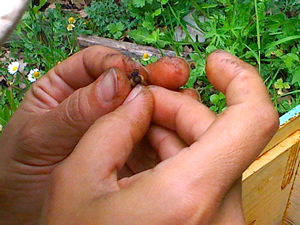 Another product of the bees that we were able to try is Propolis. I brought some propolis home with me to add to my medicine cabinet. It has a strong flavor and is very sticky. To ingest the tincture mix with a little honey on a spoon and take, or shoot it in the back of your throat taking care not to get it on your teeth as it will stain. These other larger boxes are for the established families that produce 20-30 kilograms of honey per harvest. 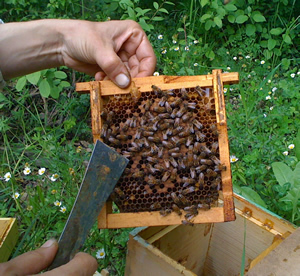 There is just one queen per large box and the rest are the worker bees. It was a really exciting day to spend some time with the bee keeper Arianna. She is a really cool gal and I am so glad I was able to see the bees so up close and personal! 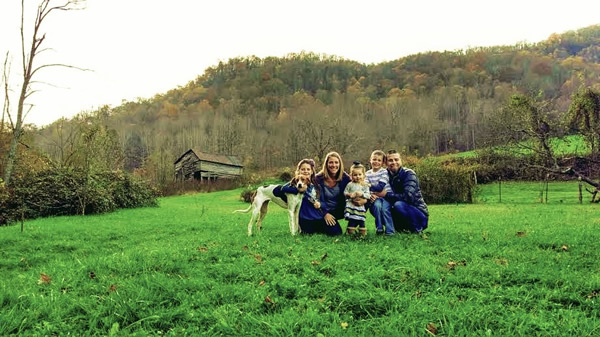 I am so proud of you, Jill & Jason, not only because you are doing these cool things and learning so much but also in making the journey avaiable to all of us. Love you, thanks. 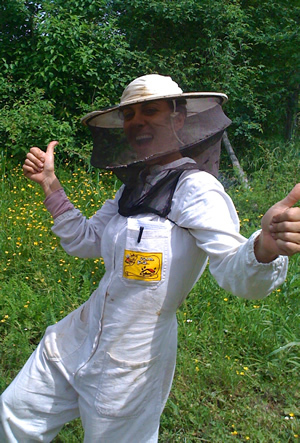 Nice blog on the bees, you look so cute in your bee keepers outfit-skinny!!! It took courage to go in there and your just the woman to do it. 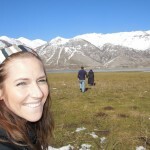 Have fun and keep on writing so all of us can go along with you and your precious family. Hi Mom! Well hate to break it to you but that is not me in the cute skinny bee keepers outfit…..that is Arianna! 🙂 I was dressed similar, and taking the photos! Love you!! !